PPI Oxford needs your help! 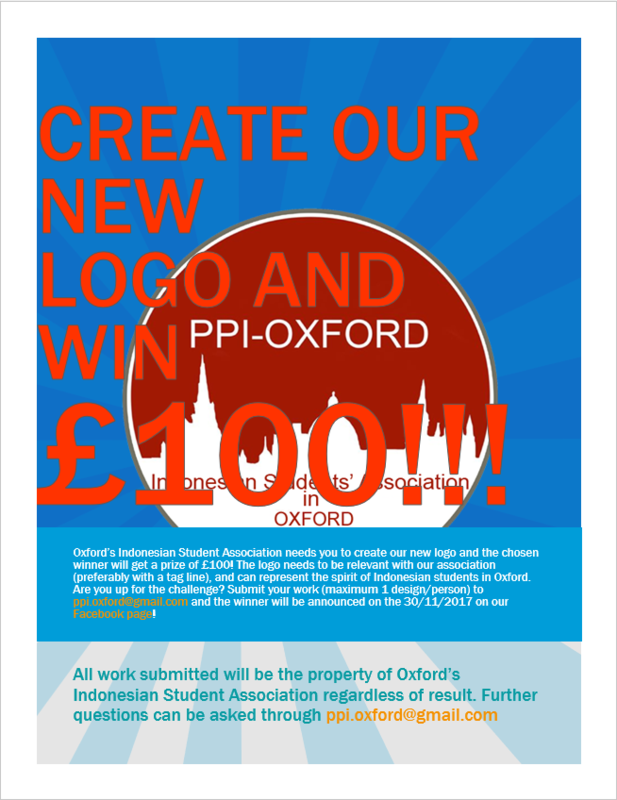 PPI Oxford wants a new logo this year and you could help make it! Create a logo that you think can represent us as students here in Oxford and is relevant to our organization and you can win £100!! This competition is open to everyone worldwide. Each participant can only submit one logo. The logo will become the property of PPI Oxford regardless of the result.